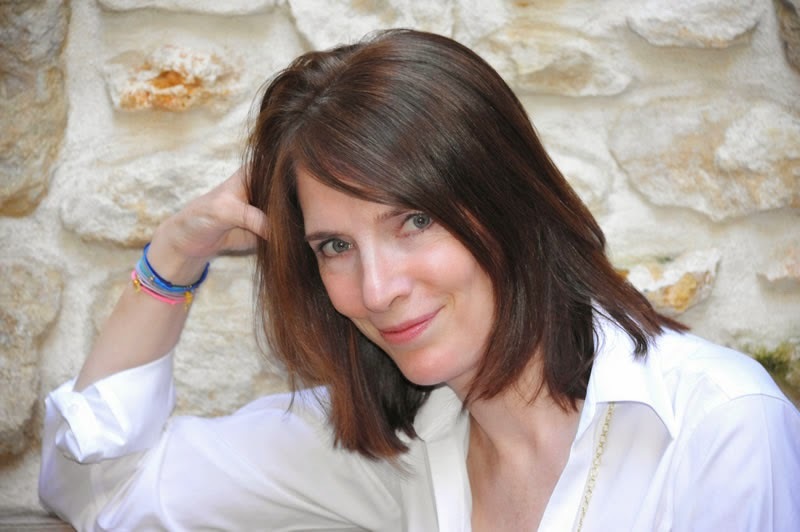 Patricia Morrisroe grew up in Andover, Massachusetts and graduated from Tufts University with a B.A. in English. After spending a year as a reporter and film critic at the Lawrence Eagle-Tribune, she received an M.A. in Cinema Studies at NYU. As a contributing editor at New York magazine, she wrote over fifty features, many of them cover stories. Patricia’s work has also appeared in Vogue, Vanity Fair, the New York Times, Departures, Travel & Leisure, and the London Sunday Times Magazine. Read her full biography, and check out her website here. I am not a shoe person. I don't really like to shop for shoes, and I usually wear the new ones I buy for many years. In fact, I still have a pair of Nikes from high school (and that's been about thirteen years). I'm not particularly active, so I don't wear shoes out quickly. 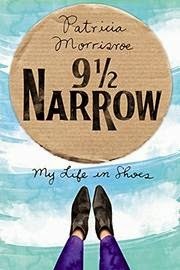 All of that being said, I wasn't sure that I would like a non-fiction book about shoes, but as I read through the first few chapters, I realized Patricia's story isn't necessarily about shoes or buying shoes but the stories that accompany that one special pair and the history behind certain types of shoes. I was immediately hooked. Most people who read this blog come for the YA reviews, and there's definitely that aspect here. The opening chapter, "White Mary Janes," has everything a young, or adult, reader would want: an endearing child who is both jealous and curious. Patricial is envious of the shoes that adorn the feet of the prettiest girl in school. To get her own pair, she would try begging, but it took the unfortunate death of a skunk to acquire them. Imagining Patricia's sneaky, manipulative, and tearful smile as she gets what she wants will definitely warm your heart. The most genuine part of Patricia's story is the search for truth. Was she born with twelve toes? After her mother blurts out that she was, in fact, born with a few extra appendages, she immediately disregards her statement and suggests she said jaundice. So heightens Patricia's curiosity. Asking family members and a handsome podiatrist doesn't really lead her any closer to the truth, so she must find it herself. It would be impossible to discuss the book without mentioning Patricia's extensive research and knowledge of shoe history. I knew that I was not the first person to come to with a shoe question, but I didn't realize how little I knew until reading this book. The pop culture that focuses each of Patricia's memories is so cleverly intertwined that it never feels like you're reading about history. The allusions to Kennedy and Audrey Hepburn are so fascinating that I lost myself in the narrative. I unconsciously found myself going around asking "did you know" questions, and not being a shoe person, I received many quizzical looks. Definitely an example of "never judge a book by its cover" or its content, YA readers will be able to find a comparable narrative in Patricia's childhood, and adult readers will love the entire book. A must read for the shoe lover, the history buff, and anyone in between. Smoked Cover Reveal and Giveaway! Izzy and Oscar Blog Tour with Guest Post!